BUFFALO – On Tuesday, April 16, the Sierra Club Niagara Group joined several other Western New York Groups in Buffalo to launch the “Let’s Turn, Not Burn” campaign. The event kicked off the Sierra Club’s Renewable Energy Week, which includes events across the state and a robust advertising campaign in Buffalo, Rochester, Binghamton, Auburn and Albany calling on Governor Andrew Cuomo to take administrative action to create jobs and grow the economy with renewable energy sources such as wind and solar power. As part of the week, we’ll be talking with Sierra Club representative Bob Ciesielski tonight on our Community Matters program. 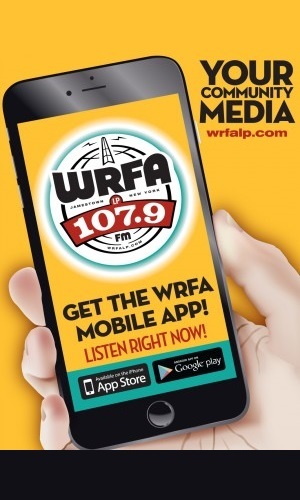 You can hear our half-hour conversation tonight at 6 p.m. on WRFA 107.9 FM and streaming at www.WRFALP.com.